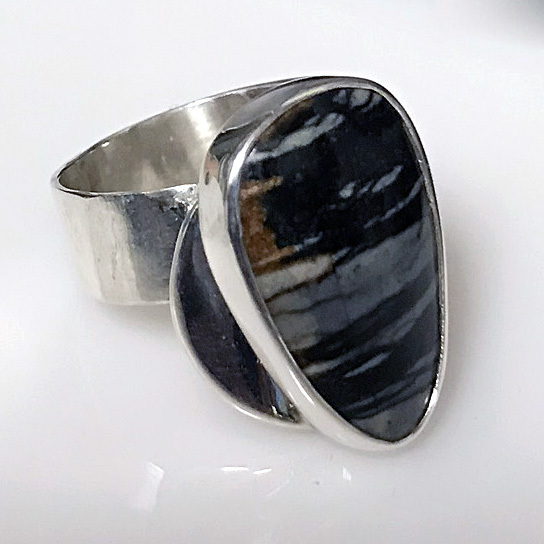 Sculptural Jewelry - This is an original sculptural sterling silver ring beautifully handcrafted featuring a natural freeform Grey, Black, and White Picasso Marble cabochon, (22mm x 14.6mm), a Jasper from Utah. This gemstone is natural and looks like a wooded scene. 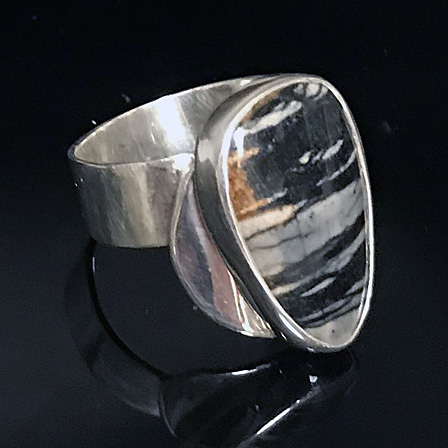 A beautiful free-form Picasso Marble mounted in a full sterling silver bezel ring. 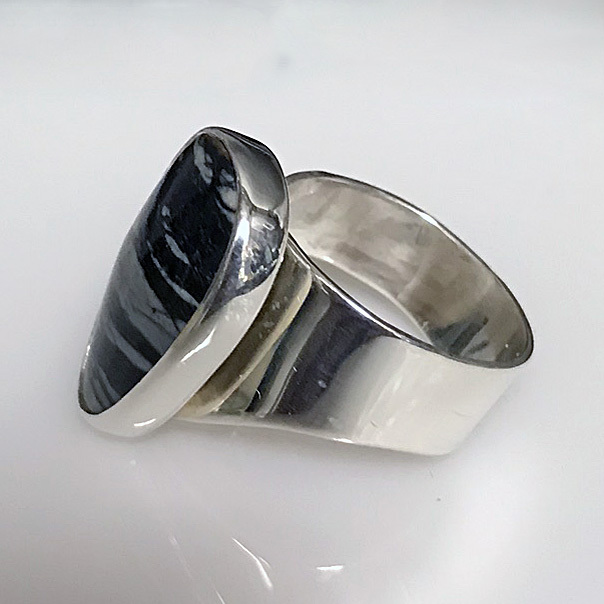 Any size is available; unsoldered shank is possible. 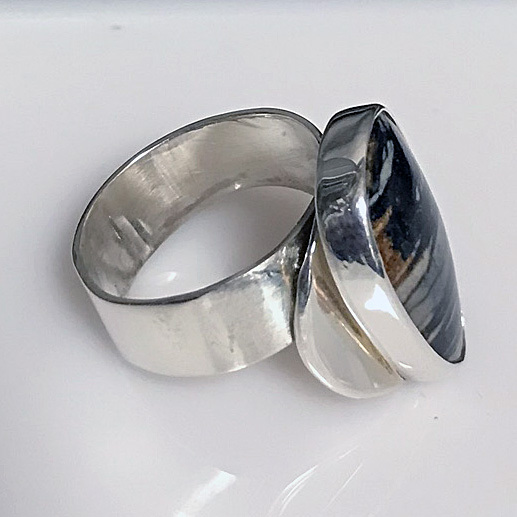 This ring has a wide shank, allow for an additional 1/2 size when ordering. Other stones are available.